Then [Martha] returned to Mary. She called Mary aside from the mourners and told her, "The Teacher is here and wants to see you." So Mary immediately went to him. Jesus had stayed outside the village, at the place where Martha met him. I love the faith of this Mary and Mary Magdalene. Jesus will still be Mary Magdalene's Lord even after he is placed in the tomb and all appears to be lost (later in the Gospel of John). Jesus is still Mary's hope, even though her brother Lazarus has died. She believes Jesus could have prevented it. These women may not have had all the answers to all of their important questions, but they knew the one who is The Answer. 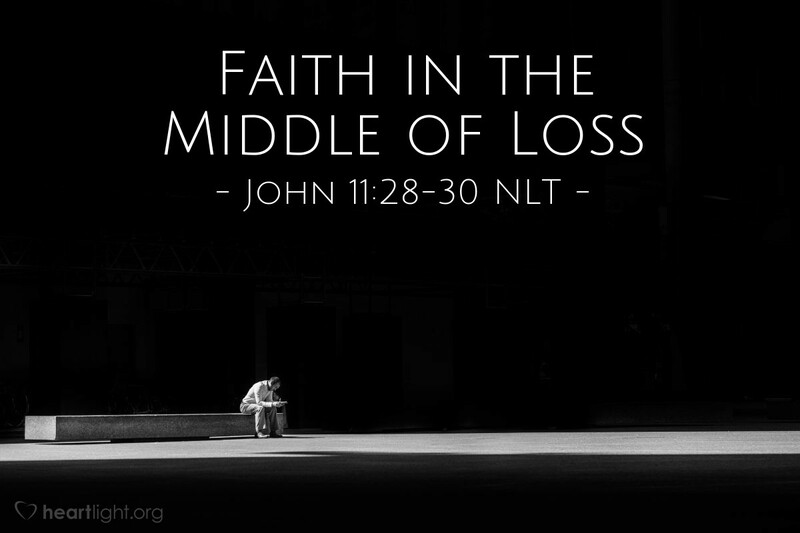 While life will deal us some misfortunes and Satan will do what he can to wound and destroy us, don't let the confusion of the moment steal your faith that Jesus is The Answer. We will not have answers to all of our questions, but we do have The Answer to the biggest one! Who assures my relationship with God, both now and forevermore? Jesus! Gracious and loving Father, please give me the faith of these two women. I want to keep believing in Jesus as my Lord no matter what happens in my life or what confusing issues cloud my mind. Jesus, in those difficult or confusing moments, I ask that you make your presence very real in my life, not just for my benefit, but so that those around me can know your glory. Amen.